But then with the advent of facial oils, where every Vlogger, Blogger, Magazines and Derma’s are talking and crediting beauty oil for their amazing efficacy and formulation, the crazy beauty devil inside me forced to research on the topic more. And here come the discovery of oils in my skincare regime- only after a long research period. And ever since I accepted the fact that they are truly a remarkable natural light weight formulations that will induce clear supple skin, I started my hunt to find awesome oils. The very first one I tried was Kama Ayurveda Kumkumadi Miraculous Fluid, and this was a recent updation to my list. So let go ahead with it’s review. Well TBS takes my heart with few of their great products like body butters and night masks. 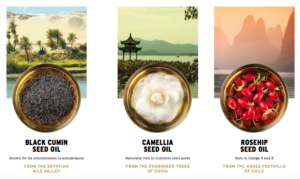 Now they have added one more product line- The Body Shop Oils of Life Facial Oils. 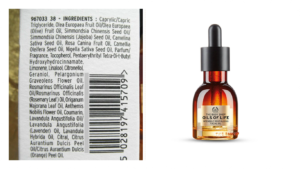 And currently I am loving The Body Shop OILS OF LIFE Intensely Revitalising Facial Oil, but it has it’s own pros and cons. INR 3095 for 30 ml. Pretty expensive. 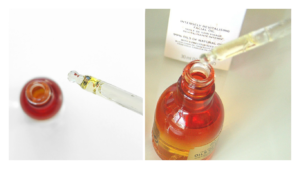 The Body Shop Oils Of Life Intensely Revitalizing Facial Oil comes, in a classy white box that hosts the pretty omber glass bottle. The packaging is perfect to command luxury and elegance inside. 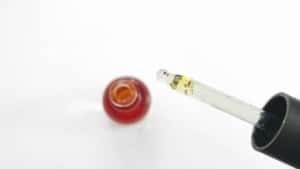 The glass bottle has a dropper cap that lets you control the quantity required. Dry oil- absorbs easily. Gone are those days when we have to apply oil and wait for hours to get it absorbed. Black cumin oil from Egypt, known for it’s antioxidant concentration. Rosehip oil from Chile, enrich with Omega3 and Omega 6. Camelia oil from China, naturally rich Oleic acid. By infusing them with a powerful blend of essential oils, we created a daily facial oil that intensely revitalizes skin and visibly combats signs of ageing”. As the brand says “dry oil”, for the initial few days I slathered high quantity over my face- in the greed to adorn a beautiful texture. The world turned upside down when I noticed enlarged pore size around my cheeks and I went on again to explore more. Eventually I reduced the quantity and changed the application regime. So now I use to spray mist or rose water over my face and apply only few drops of it, turns out a star performer. It does improve the texture of my facial skin- making it smoother, plump and soft. I can’t comment on its anti-ageing properties as I don’t have any issue as such but just few days back my mom started sharing it and as per her she haven’t seen any improvement on her lines or crow feet around her eyes, may be it requires a longer period to comment on that. Moreover I have noticed that you need to exfoliate regularly may be alternate days so as to get the oil easily absorbed, else it sits back on the top. 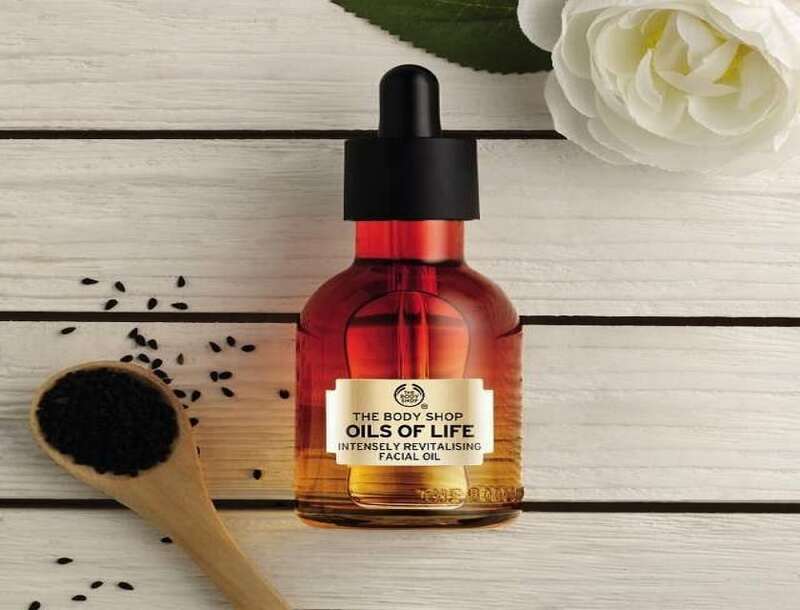 The Body Shop OILS OF LIFE Intensely Revitalizing Facial Oil is good for nourishing and restorative property but lacks on other fronts like- diminishing marks or healing zits. As per me it’s good for normal to dry skin. I would not recommend it for oily skin. 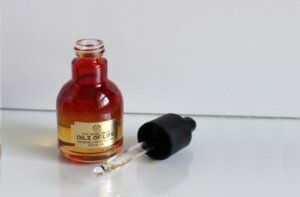 The Body Shop Oils Of Life Intensely Revitalizing Facial Oil is a good product for normal to dry skin. It has great moisture restorative properties; it does make skin soft, supple and alive. But it has it’s own cons- it have almost no effect on marks healing, have to patiently work for its anti ageing claims. I will not recommend for green signal for oily skin beauties to purchase it.